9 Reasons to Visit Charlottesville & Albemarle County This December! It might be hard to believe, but the month of December is now upon us. Not only does the month of December signal the beginning of the end of 2016, but it also signals the beginning of a new season – winter! But just because the year may be drawing to a close, there’s still no shortage of things to do in the Charlottesville area this month. The month of December features a smorgasbord of holiday-themed events, shopping galore, and a huge celebration to start 2017 off with a bang! So let’s dive right into nine of the top reasons to visit Charlottesville & Albemarle County in December! 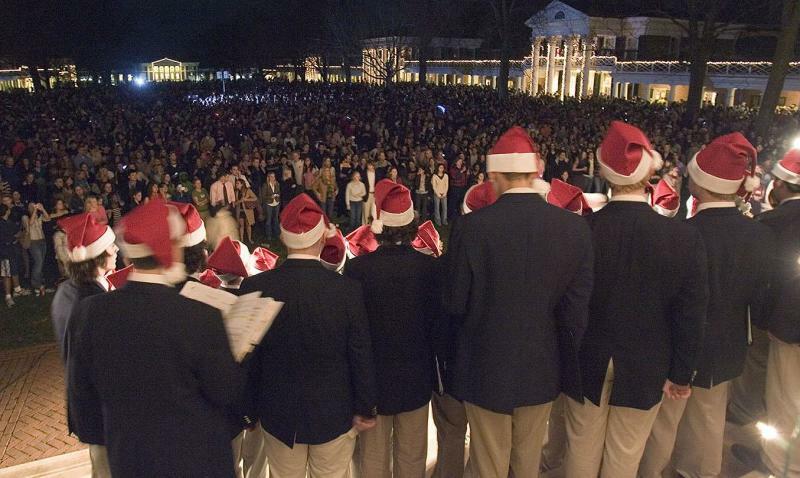 The Lighting of the Lawn is an illuminating tradition that has been taking place at the University of Virginia since 2001. This event got its start as an effort to bring the community together in the wake of the terrorist attacks of September 11, 2001 and has been continuing each and every year since. This event features lots of music, fun, and of course lights as buildings lining The Lawn and the newly renovated Rotunda all feature a dazzling display of lights fixed to their exteriors. Students, locals, and visitors alike all come together to celebrate the exciting moment the switch is flipped and The Lawn comes to life! This is an event not to be missed! Click here for more information! Coming right on the heels of Lighting of the Lawn, the Grand Illumination takes place the very next day on Charlottesville’s historic pedestrian Downtown Mall. 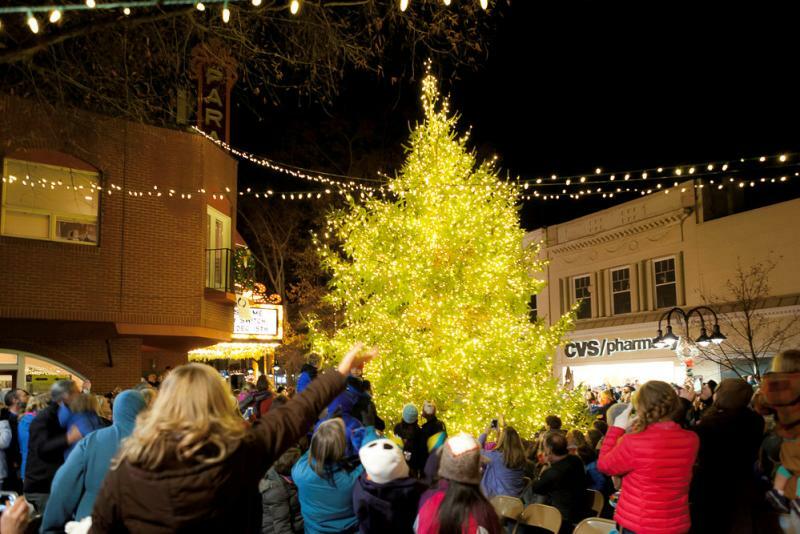 This is another tradition that has been taking place for years, which culminates with the lighting of the enormous tree located at Central Place at the epicenter of the Downtown Mall. Come watch the beautifully adorned and decorated tree come to life as thousands of lights begin to twinkle. Dress warmly and get ready for a fun evening of holiday cheer and lots of festive music! You might even get a glimpse of Santa! It wouldn&apos;t be the holiday season in Charlottesville without a parade! Folks of all ages will be delighted by the sights and sounds of the Wells Fargo Holiday Heritage Parade on December 3 beginning at 10:00 a.m. Gather around and watch matching bands, floats of all shapes and sizes, and even a visit from Santa! Following the parade, there will be visits with Santa and treats hosted by the Violet Crown Theater from 2:00 p.m. - 5:00 p.m. For more information about this parade, click here! The Charlottesville Symphony and University Singers will be kicking off the holiday season with their annual Family Holiday Concerts! There are two different opportunities to attend: December 3 at 8:00 p.m. and December 4 at 3:30 p.m. 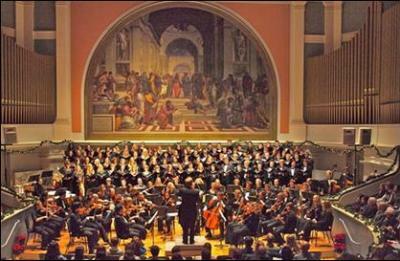 The performances will take place at Old Cabell Hall on Grounds at the University of Virginia. Attendees are in a for a spectacular treat as this year&apos;s program features "Carol of the Bells," Leroy Anderson&apos;s "Sleigh Ride," Handel&apos;s "Hallelujah Chorus" and "The Twelve Days of Christmas," with audience participation. Tickets range anywhere from $10-45 and more information about this fun and festive event can be found here! Gingerbread is such an iconic treat around the holidays, but this sweet, spiced creation also serves double duty - you can build gingerbread houses with it! The theme for the gingerbread competition this year is "The Magic of Christmas" and entries will be featured at The Omni Hotel for all to come by and see. The entry deadline is November 29, but even if you don&apos;t enter, it&apos;s always fun to see the whimsical and creative creations! Click here for more information! 6.) Shopping Til You Drop! The Charlottesville area certainly has no shortage of places to buy plenty of gifts for the special people in your life. The Downtown Mall features dozens of shops and boutiques where you can browse arts, crafts, and clothing until you find the perfect present for everyone. Also, be sure to check out the Holiday Market, which takes place each Saturday morning until December 17 from 8:00 a.m. – 1:00 p.m. at 100 East Water Street, just a block or so from the Downtown Mall. The Holiday Market is an outdoor market featuring more than 100 vendors with a variety of unique gifts, decorations, food and crafts. All of the items are handmade, homegrown, or home baked all by local farmers, artists, or bakers. Check out the Monticello Artisan Trail which meanders gently through Albemarle & Nelson Counties with a wide variety of locally-made arts and crafts from some of the finest artisans in central Virginia. Finally, stop by the old train depot in Crozet, which is now home to the Albemarle Tourism & Adventure Center and the Crozet Artisan Depot. Here, you’ll also be able to browse items created by artisans from our area. Between all of these different options, you’re sure to find the perfect gift for everyone on your shopping list! Things don’t slow down at Monticello during the holiday season – in fact, just the opposite is true! You’ll be able to take advantage of some truly unique and interesting opportunities this holiday season at Thomas Jefferson’s old abode! Holiday evening tours are being offered on several dates this year where visitors will have the opportunity to experience Monticello after dark – even the dome room! Additionally, Monticello will be offering a wreath-making workshop, a gingerbread house family workshop, behind-the-scenes tours, and a 5k footrace featuring a route that weaves in and out across the property! For more information on events taking place at Monticello this holiday season, click here. Mrs. Claus is having a party and YOU are invited! Join Mrs. Claus and her friends at The Omni Hotel for an afternoon of singing, dancing, storytelling, craft making, and cupcake decorating. There&apos;s no better way to get into the holiday spirit! This fun, family-friendly event is only $10 for adults and children 3 and older, with children 2 and under getting in for free. For more details about this event, click here. Finally, send 2016 out with a bang at First Night Virginia, taking place on the historic pedestrian Downtown Mall! This family-friendly event has been taking place since 1982 and is one of the oldest First Night celebrations in the entire country! Families and visitors can expect to enjoy a plethora of entertainment acts, including live music, face painting, and other artistic activities! Alcohol is not allowed at this New Year’s celebration, so you can rest assured that as you and your family prepare to ring in 2017, you’ll be doing so safely and in the company of other families and their children in one of Charlottesville’s most iconic and scenic spots! 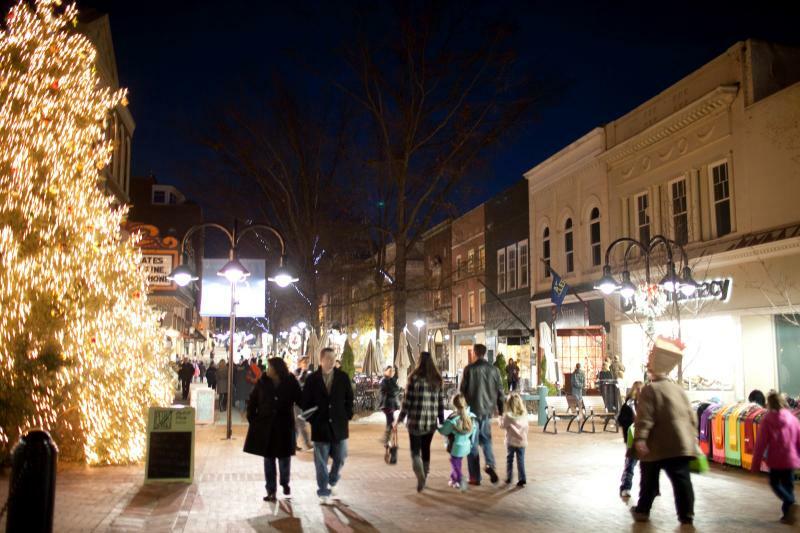 Plus, you can browse the dozens of shops, stores, and restaurants located on the Downtown Mall before or even during the First Night Virginia celebrations! Hopefully this list has given you some inspiration and ideas for reasons to visit the Charlottesville area during the month of December. This list really just scratches the surface of things to do in the area, so we encourage you to browse around on our website for even more ideas and suggestions! 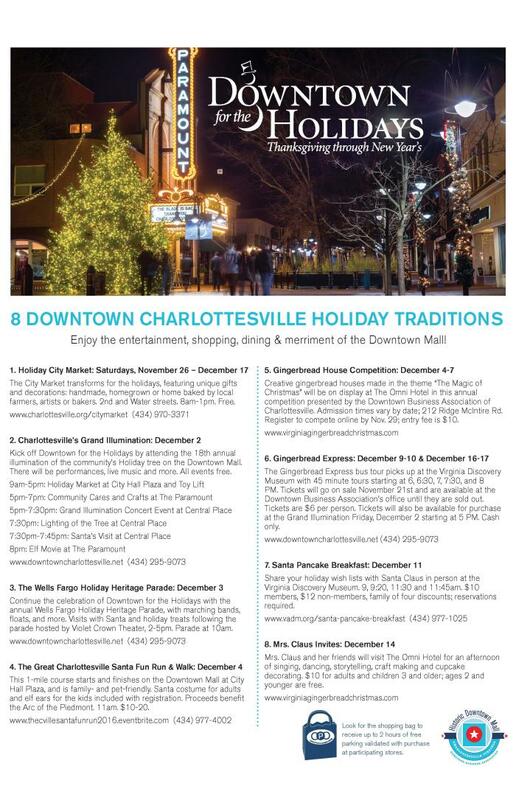 Also, check out the schedule below for more events and fun taking place downtown for the holidays! Just because the nights are longer and the days are a little cooler, in many ways, it’s still business as usual in the Charlottesville area! So head our way this month, do some shopping, eating, and playing as we all prepare for the holidays and a new year ahead!